I alluded to this the other day but a series of issues kept me from elaborating. I had planned to do a little YouTube doodah for it but the version of iMovie I have on my machine is incompatible with the new OS. I had loaded and marked the photos but when I tried to start iMovie my Mac crashed. nd again. Then DH tried to start Security Spy (the camera system we have that lets us watch the house from afar) remotely and THAT crashed my Mac as well. Somehow, in the process, the photos disappeared. So I had to do the step-by-steps all over again. It’s really more appropriate for a slideshow, as there are a LOT of photos, but I will try to compress the process as best I can while still including all the appropriate info and once I get the new iMovie version (or am brave enough to boot my machine from the other disk with the OLD OS) I will do a YT thingie. So here is what they look like. 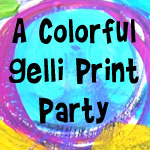 There are two ways to do this, depending on the weight of your paper/cardstock choices. Punch the edge of one of your choices. It can be elaborate or simple. Cut this at least 1/4 inch past the punched edge. Cut a second strip at least 1/2 inch. 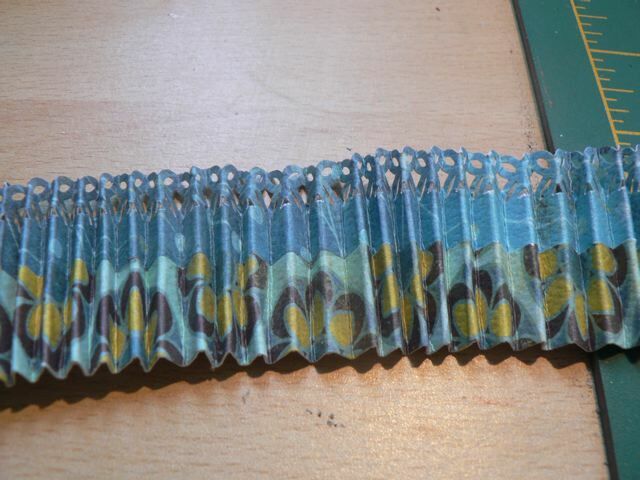 With WET adhesive, glue the punched strip to a sheet of thin paper (printer paper, so long as it is not too heavy, is fine) then glue the other strip up to the edge, butting it up against the first strip. Here you can see both sides. The printer paper is short, and that is fine. It will make the overlap less bulky. LET IT DRY. 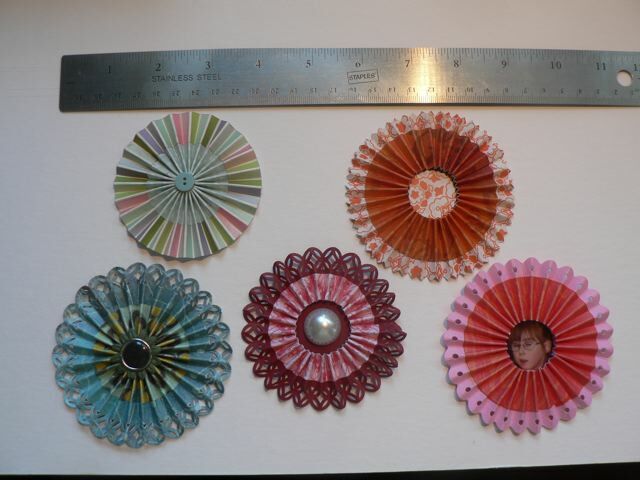 Score and accordion fold as you normally would for any rosette. 2. 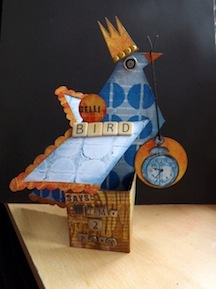 Using one cardstock weight paper and one thin paper. Punch the edge of the cardstock. 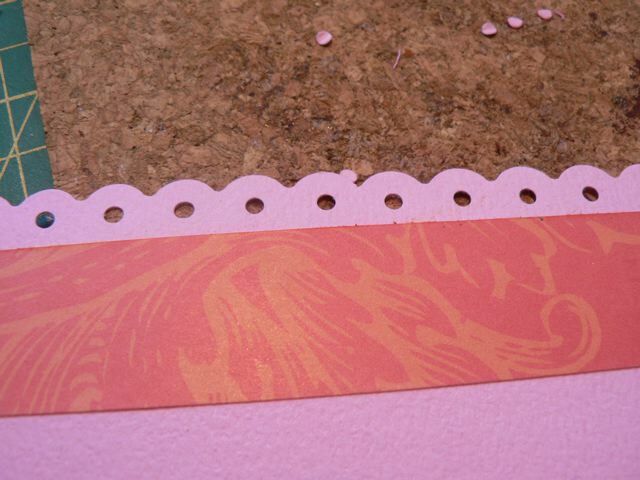 Apply your WET adhesive to the back of the thinner paper and stick it 1/4 inch past the punched edge, OVER the cardstock. 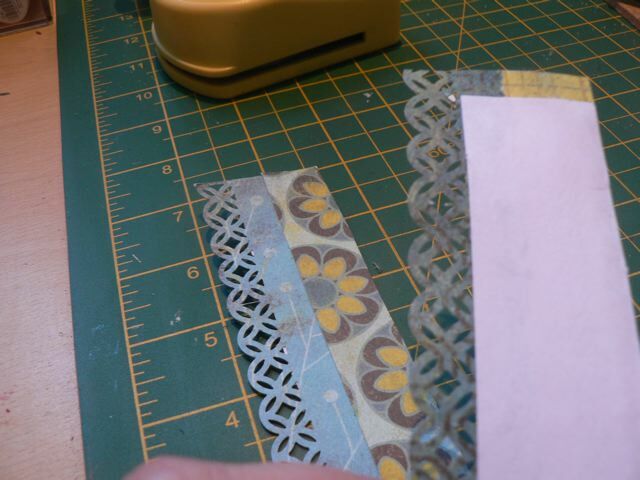 Trim the strip – on my sample the thinner paper is about 3/4 inch wide. Score and accordion fold as normal. To assemble either version: add adhesive to the last fold. Overlap and join. 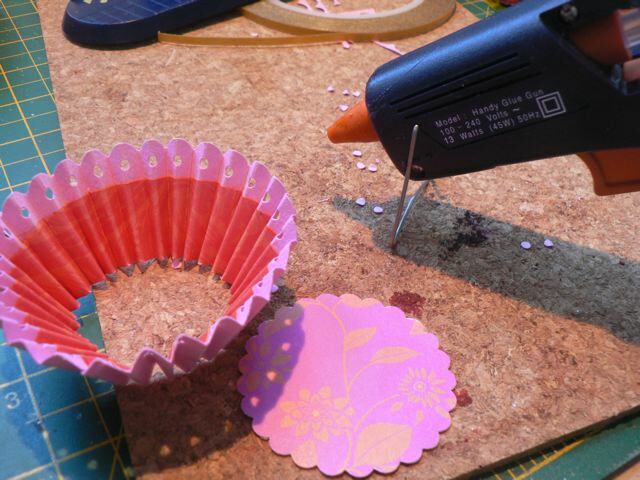 Punch a circle from plain or contrasting paper and apply a bead of hot glue around the edge. 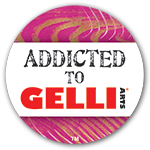 Keep the glue well away from the center! OR you can do something a little different! Punch a circle from a photo – I used the standard 1 inch punch. Put something about the same size in the middle of your backing circle. 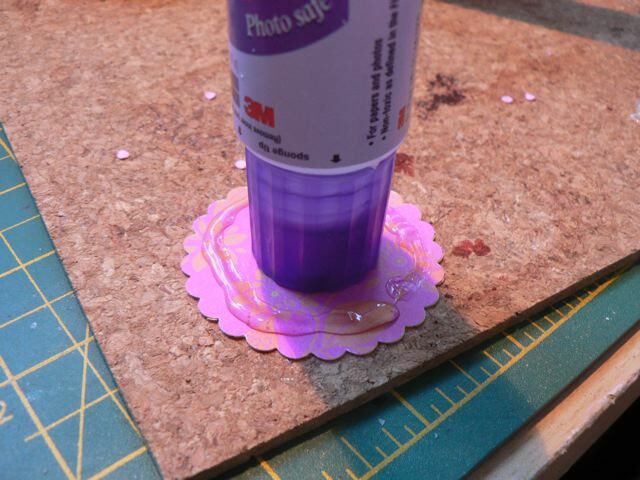 Again, keep your bead of glue to the outer edge. The tube (in this case a glue applicator that was just the right size) keeps the opening in the centre of the rosette wide. 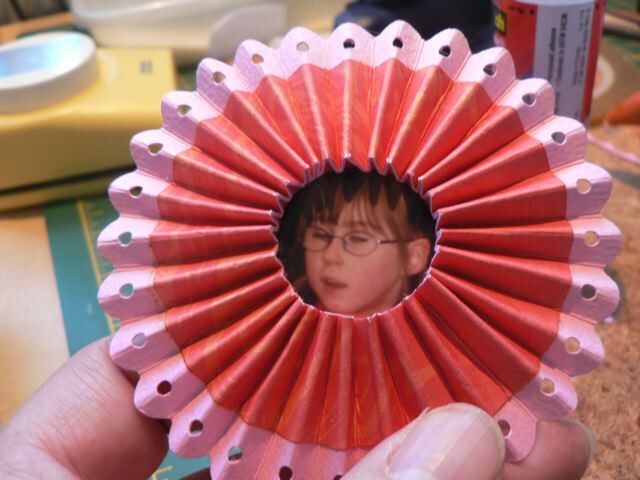 It adds to the overall width of the finished rosette, but not by much. I COULE have tried adding the photo to the centre first, but I didn’t fancy trying to keep the glue off it, or not marring it when I put the glue tube over it. Maybe you are better at that than I am! I have about 30 photos that explain the steps more visually so off to boot from the other disc. Fingers crossed. 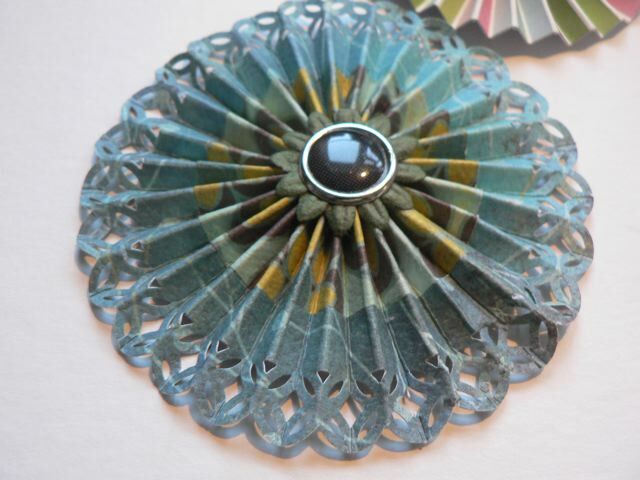 Categories: flowers, tutorial | Tags: how-to, rosettes | Permalink.